We were asked to develop a new identity, and help Statens Kulturråd implement the overall look on a already excicting application. 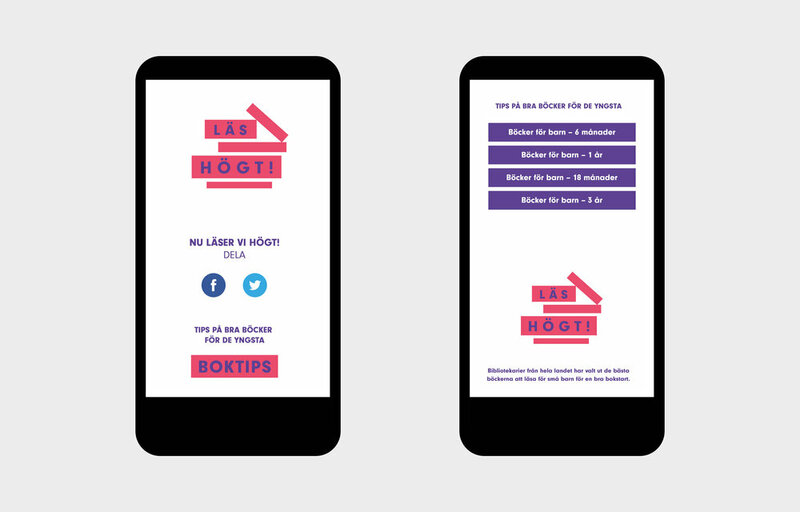 Its an app for helping parents to read books aloud for their kids "Läs Högt"= Read out Loud", but also about telling other parents that they are doing it! We wanted fun and vibrant colours. The logo reflect that of a stack of books. Download the app here!